According to a report released by The Texas Campaign for the Environment, retailers purchased 3,454,522 pounds of plastic bags from January 2008 through June 2009 but only recycled 915,882 pounds of plastic during the same time frame. Less than 27% of the plastic bags from the participating retailers were recycled by the retailers. The overall use of recycled shopping bags and “multi-use” organic bags continues to increase nationwide as more and more cities recognize more than just the eco-friendly benefits. The Austin City Council has scheduled a Town Hall forum on October 24th, 2011, at 6 PM at Austin Energy located at 721 Barton Springs Road in Austin, Texas. TCE and ARRD welcome and encourage your support and attendance. 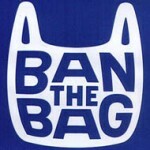 If you cannot attend the meeting on October, 24th, you can also send an email to Mayor Lee Leffingwell asking for the inclusion of paper bags to be in the single use bag ban at the Austin Texas Government site . Voice your desire to move towards the use of eco friendly reusable shopping bags and help Austin city limits go green.